You’ll be ready for the Holidays in this gorgeous party dress! The Holly Jolly Lace Back A-Line Dress is lined through the bust and attached skirt. 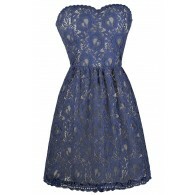 This gorgeous dress has semi-sheer lace detailing on the neckline, sides and back of the dress. 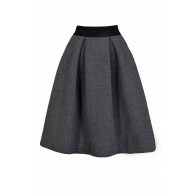 It is made of a unique textured fabric in an A-line cut. It has pieces of fabric that outline the high rounded neckline and create a unique pattern on the back. 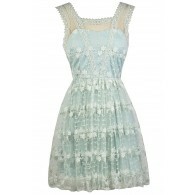 The dress is sleeveless with delicate eyelash lace. A hidden back zipper completes this dress. This dress is sophisticated and perfect for a Holiday gathering. It comes in two color choices. Pair this dress with delicate jewelry and heels. Details: Lined at bust and skirt. 100% polyester. Hand wash cold. Do not bleach. Do not tumble dry. Low iron. Small measurements: Length from top of shoulder to hemline: 35”. Bust: 32”. You have added Holly Jolly Lace Back A-Line Dress in Black into Wishlist. 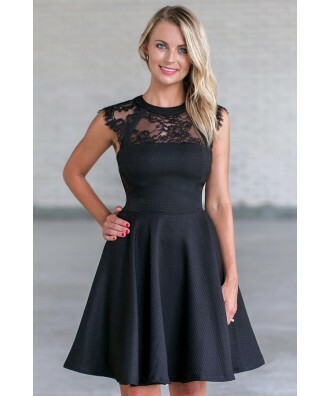 You have added Holly Jolly Lace Back A-Line Dress in Black for Stock Notification. 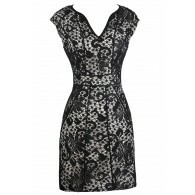 You have set Holly Jolly Lace Back A-Line Dress in Black as a loved product. 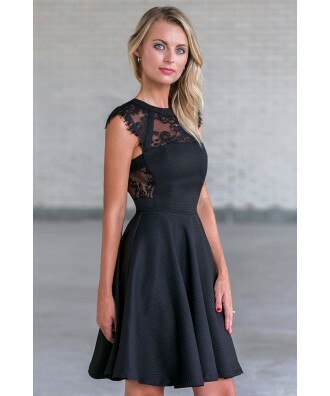 You have removed Holly Jolly Lace Back A-Line Dress in Black as a loved product.